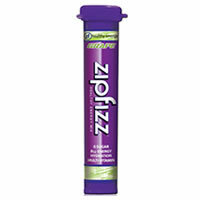 Zipfizz is an easy, quick way to get vitamins and energy but not necessarily the best hangover cure. It contains primarily vitamin B12, but also has antioxidants and more essential vitamins. The powder is easy to use because you just add it to water and drink away. My favorite flavor of Zipfizz is grape, but there are many flavors to choose from. Zipfizz made me feel more energized and clear minded, but didn’t make huge improvements to my hangover symptoms. Overall, I really like this product as way to get vitamins and provide energy, but it’s a slightly below average hangover cure. Zipfizz is very simple to use. Pour the powder into water and drink away. Zipfizz wasn’t designed as a hangover cure, so it doesn’t have exact directions. I used it the morning after consuming alcohol, when I had a hangover. If you want to add protection and load your body with vitamins, drink it before consuming alcohol as well. There are lots of different flavors, and many of them I like. My favorite flavor is grape, but luckily most of them are good! I used Zipfizz the morning after drinking. After taking it, I felt a little bit better, but not much. I had a little more energy, and a clearer head, but most of my hangover symptoms didn’t improve much. Personally, I like using Zipfizz on a regular day when I feel like I need extra energy and vitamins. 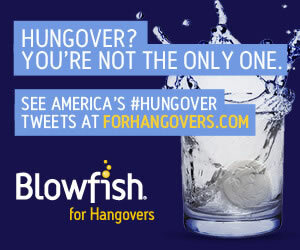 I probably won’t use it again as a hangover cure because it didn’t take away any of those MAJOR hangover symptoms. Zipfizz contains mostly B12, but also has other vitamins and fruit extracts. Like I said, the majority of Zipfizz is B12, which is a natural vitamin that provides energy to the body. What’s unique about Zipfizz is that it uses all natural ingredients like B12 to provide energy, rather than sugar and high amounts of caffeine like many other energy products. Luckily, I didn’t have any side effects. It costs $37.99 for a pack of 20 tubes. That works out to about $1.90 per serving.